What does President Erdogan's early election announcement mean for Turkish bond markets? We think, at least in the short term, it could boost bond prices. 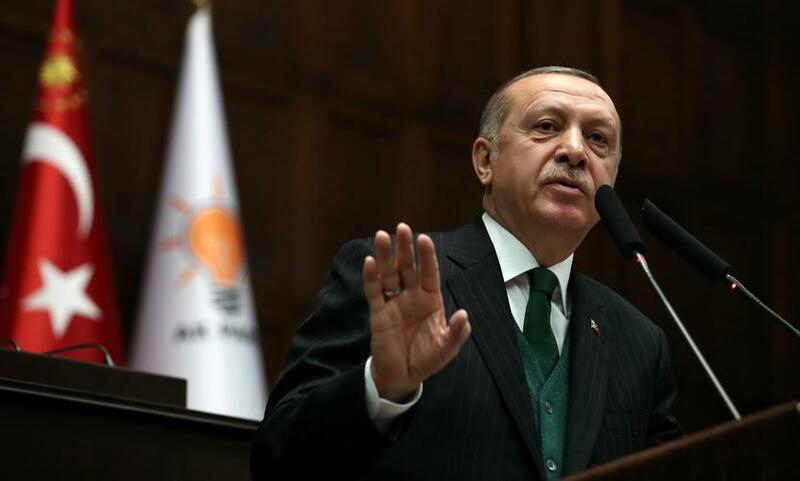 Turkish President Erdogan today announced early Presidential and Parliamentary elections for 24th June, well over a year ahead of the previously scheduled date in November 2019. In doing so Turkey now joins a lengthy list of Emerging Market countries heading to the polls during 2018. The move does not come as a surprise to us given Erdogan’s recent policy agenda of boosting growth and job creation at virtually any cost, while also wooing supporters with patriotic and nationalist rhetoric. Indeed, those macro policies have exacerbated Turkey’s well-known imbalances over the past year with an overheating economy, persistent double-digit inflation, a widening current account deficit and a large external financing requirement. These factors, combined with inadequate real policy rates, low net FX reserves, an unhealthy exposure to higher energy prices and growing geopolitical tensions with the west, have created an awkward backdrop for investors. The initial read from market participants could be that early elections will elevate political uncertainty, prompting the authorities to push the pedal down harder on loose monetary and fiscal policy. On the contrary, we feel new elections will prompt the government to prioritise FX stability ahead of the vote and permit the Turkish Central Bank (CBRT) to do what is necessary to prevent Lira volatility. A continued depreciation of the currency would likely negatively impact voter behaviour and may jeopardize Erdogan’s plans for victory. In many ways, the backdrop is very similar to the period before the constitutional reform referendum in April 2017 when Lira weakness was not tolerated and the CBRT hiked policy rates aggressively. We read the early election announcement as a recognition from the government of a need for a tighter monetary and fiscal adjustment sooner rather than later. A CBRT policy rate hike of perhaps +50bp could come as soon as the next MPC meeting on 25th April. A period of relative currency stability and pragmatism from the CBRT will likely present a tactical, short-term opportunity for bond investors, sucking foreign capital back into the market. Turkish local currency nominal yields are now extremely high with 10yr bonds yielding 12.50%, the Lira has already depreciated 20% over the last 6 months, and market positioning is substantially short of Turkish local market assets. Similarly, on the external debt side Turkish 10yr US Dollar government bonds, rated Ba2/BB/BB+ by the agencies, are now yielding above 6%. This is comparable to single B rated EM Sovereign peers, despite its superior credit quality and multi decade track record of willingness and ability to repay its external debt. As for the vote itself, it is hard to bet against President Erdogan who over the past 15 years has proven to be the master of reading the political mood in Turkey. In calling an early election Erdogan must feel confident he and his AKP Party have the necessary numbers to achieve victory. That itself should reduce market uncertainty. Turkey’s macro challenges are numerous, well known and won’t disappear overnight. A leopard doesn’t change its spots as they say, but at least in the short-term we feel the Turkish tiger may be tamed.